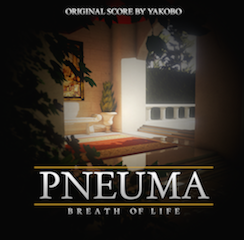 Yakobo’s soundtrack to the Xbox One game Pneuma: Breath Of Life is now available to pre-order at Bandcamp. The album will be released alongside the game on 27th February. The opening track is also available to stream at Bandcamp, and pre-order customers will be able to download the track immediately. The game will also be available on PC via Steam, with the Yakobo soundtrack available as an add-on extra.